A tear for or from Rossini? November 13 marks the 150th anniversary of Gioacchino Rossini’s death, so we can shed a tear! And we at Henle are even issuing a piece by the master himself, that is, “Une larme” (A Tear) for double bass and piano. Rossini dedicated this melancholy musical miniature in 1858 to a deceased friend – but why it even so gives our editor Tobias Glöckler pleasure, he explained to me in conversation. But let’s start with the most important question: Why, Mr Glöckler, do double-bass players love this piece? With “Une larme” Rossini undoubtedly succeeded in creating a miniature masterpiece full of deeply felt music that admirably harmonises with the dark timbre of the double bass. We can literally sense the great Italian opera composer’s emotion in every measure. It seems that in a personally tough moment Rossini literally wrote this elegy from his soul. The “Une larme” theme was so important to him that later on he once again dealt with it in a larger work. What actually makes you so certain that “Une larme” was really composed for double bass and not – as supposed time and again – for cello? In Rossini’s estate in Pesaro (Italy) there is an autograph of the work titled “Une Larme pour Basse”. At first glance, something really doesn’t jibe here: In the solo part several chords fall below the piano part, which is caused by the fact that the double bass sounds an octave lower than written, resulting in undesirable inverted triads. In addition, a final chord extends down to the low C, going below the lower limits of the double bass (E), which, though, the cello would be able to play. So, doubts are absolutely indicated as to whether by “Basse” Rossini really meant a double bass. But it gets more fascinating…. Closer consideration of the autograph makes it apparent that Rossini elegantly evades the risk of harmonically problematic chord inversions, and indeed with a simple arpeggio sign! Without an arpeggio, for example, in measure 10 the low A of the double bass chord would sound below the lowest piano tone. But with an arpeggiated execution before the beat, the respective chords are automatically harmonically “correct”, since the double bass has already reached the highest note of its chord by the time we hear the piano octave. And what about the final chord? Fortunately, the low C of the final chord is also no argument against the double bass, as a glance at the customary double-bass tuning in Rossini’s time shows: Since as early as around 1780 when Vincenzo Panerai specified the lower limit of Italian double basses as C, by 1818 Griffith Jones would report in detail a double-bass tuning in fifths (!) even for Italy, sounding with C–G–d–a precisely an octave below the cello tuning. J. C. Nicolai (1816) and François-Auguste Gevaert (1863) also report just this tuning. Since in his opera scores Rossini also required the lowest double bass tones, it can hardly be surprising that he also had the final chord of the “Une larme” ascend from the low C. For our edition the final chord had to be minimally adapted to the range of the modern double bass tuned by fourths, whilst preserving the style of a pizzicato arpeggio. That would certainly be fair to say! All current music editions of “Une larme” are based on the already mentioned autograph in Pesaro. Whilst we were preparing our edition, growing evidence pointed to a possible further Rossini autograph. After months of research it was certain: Another, later source of the work does exist! This is a particularly beautiful dedication autograph that is preserved in St. Petersburg, notated on richly decorated ornamental paper. And what was the impact of this find on the edition? Now for the first time the Russian source could be considered in an Urtext edition. It supplements the Pesaro autograph at various spots and also permits a dating: On 18 November 1858 Rossini dedicated the fair copy to Count Mateusz Wielhorski (1794–1866), in memory of his deceased brother Michał. 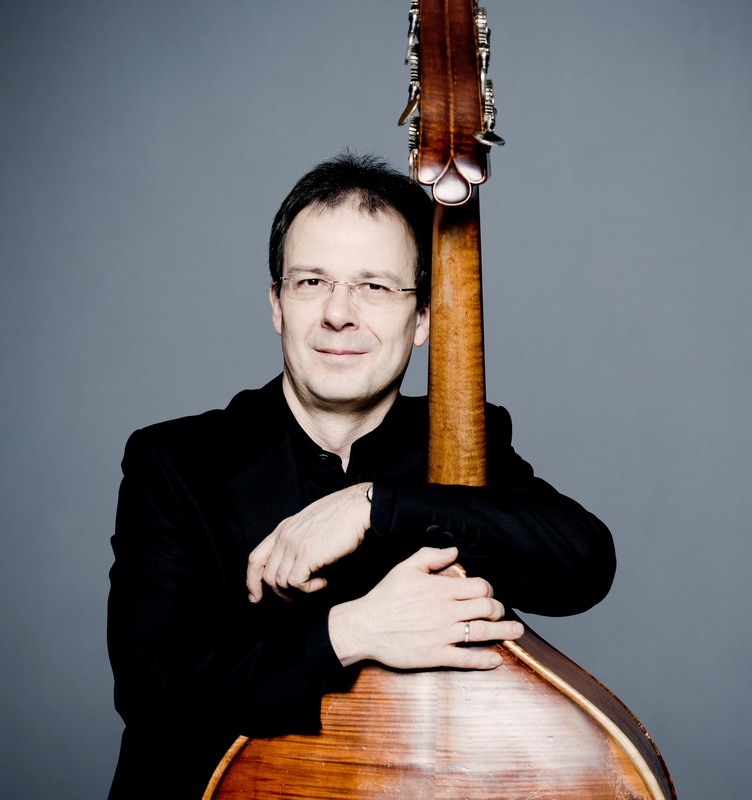 The Counts Wielhorski were central figures of Russian music life – Michał as composer, Mateusz as cellist. Their salon in St. Petersburg was one of the musical world’s popular meeting places. Wait a minute: The dedicatee was a cellist? Yes. The St. Petersburg autograph was probably not originally intended for the later dedicatee Mateusz Wielhorski. In a transcription written especially for the avid cellist, Rossini would certainly have specified the instrumentation as “Violoncelle” in the music text. Instead, he notated “Basse”, just like in the already known autograph in Pesaro. Since Rossini distinguished very precisely between “Violoncelle” and “Basse”, as can be gathered from the divisi passages in his opera autographs, we must rule out a synonymous use of both terms for the violoncello. Furthermore, unlike the double bass, which is also widely used as a three-string instrument (for example, in France and England, keyword Dragonetti) –, the repeated reference to a requisite 4th string (sulla 4a) would be pointless in a copy originally intended for cello. Rossini probably added “pour Violoncelle” as a courtesy to the count. With this unconventional rededication, the aesthetic effect of the ornamental autograph was not impaired by a conspicuous instrumentation correction. Thanks to the St. Peterburg autograph with its differentiated instrument designations and the solved “mystery” of chord inversions and the supposedly too low final chord, it should now be established beyond doubt: “Une larme” is an original composition for double bass! How important is an original Rossini composition within the double bass repertoire? As you know, very few first-rank composers wrote works for solo double bass. Coming to mind up to now are only Mozart, with the concert aria “Per questa bella mano” KV 612 and Saint-Saëns with the “Elephant” from the “Carnival of the Animals”; perhaps also Hindemith with his sonata for double bass and piano. That we can now include Rossini is a priceless gain and reason enough for a real tear of joy. Isn’t there after all any kind of cello reference? But yes, and that brings us back again to the larger work mentioned earlier. 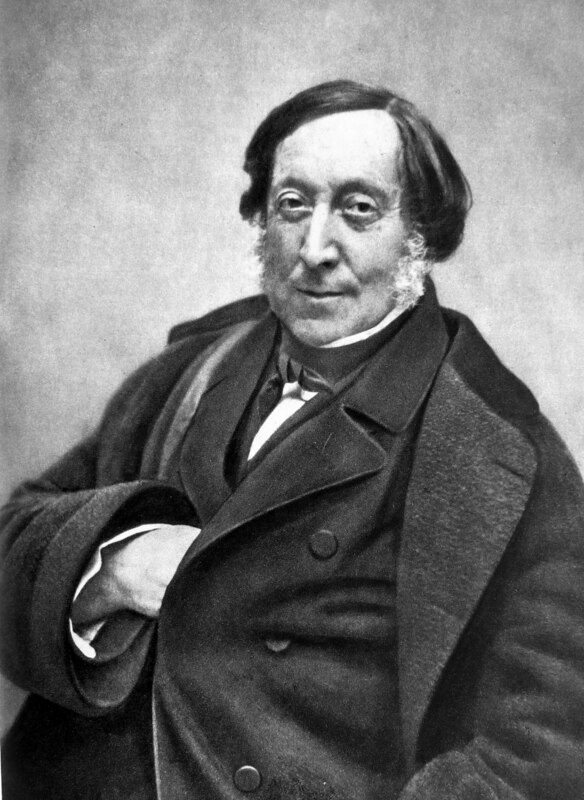 Rossini reworked the “Une Larme” theme somewhat later, adding a piano prelude and several virtuoso variations unplayable on the double bass. And what did he write before the solo instrument’s first music line? “Violoncelle”! When Rossini meant the cello, he wrote it down, too. We grant the cellists that! This entry was posted in autograph, Instrumentation, Monday Postings, piano + double bass, Rossini, Gioacchino, Tobias Glöckler, Une larme (Rossini) and tagged Double bass, Rossini, une larme. Bookmark the permalink. By clicking "Post comment", you agree that your data will be stored by G. Henle Verlag e.K. as desribed in our Data policy. The spam check uses Antispam Bee. Details on the storage of your data and your rights on how to revoke your agreement to data storage can be found in our Data policy. You are welcome to use pseudonyms.